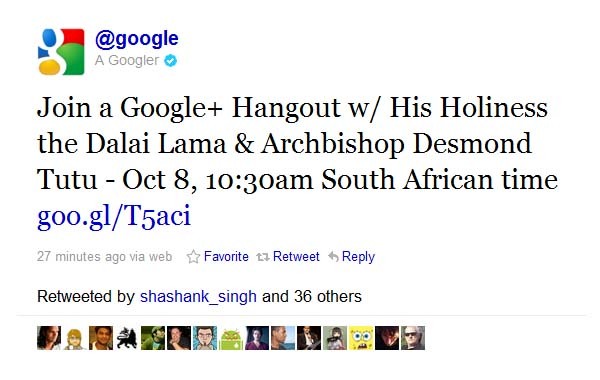 His Holiness the Dalai Lama will have a conversation with Archbishop Desmond Tutu by live video over a Hangout (Google+’s video conferencing platform) as part of the Inaugural Desmond Tutu Peace Lecture in Cape Town, South Africa, on October 8, 2011, starting at 10:30am South African time (GMT+2.00). 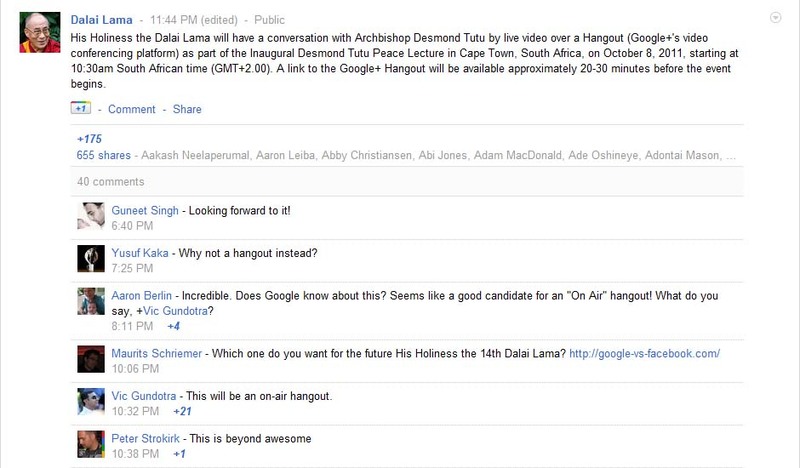 A link to the Google+ Hangout will be available approximately 20-30 minutes before the event begins. For those of you who missed this event live, you can watch the recorded version below. There were more than a few moments I couldn’t stop laughing. Copyright © 2019, muenue, all rights reserved.